When I was teaching, I was a pro at assigning projects to my students. I had a lot of fun coming up with new and creative ways for my kids to do things like book reports and science projects. Of course, the flip side of these items was correcting them. I spent countless hours creating rubrics with my grading policies, expectations for each section, and more. Once the items came in, as exciting as it was to see the creativity of my students, it also meant a lot of work correcting/grading them. Not simply slapping a grade on them, but writing comments as to why points were deducted per the rubric and beyond. In the end, it was well worth it. Of course, I did have complaints about some of my projects. The calls, e-mails, and personal visits happened many times. Most of the time, things ended well and everyone was happy. In conjunction with the upcoming holiday of Thanksgiving, we will be focusing on our families. Your homework is to depict what your family enjoys doing together. Use pictures, stickers, etc. Homework is due Friday, Nov. 12th. If you have children, what has your favorite project been that they have brought home? If you do not have kids, or they are too little, what was your favorite as a child? P.S. Be sure to stop by and enter my Mastermind Game giveaway and TechyDad’s Mastermind Animal Tower giveaway. Both kids made wreaths out of their hands…I loved those and I still have them! Not from school, but my favorite all time art project is a pair of foam pilgrim magnets currently hanging on my fridge. My oldest daughter made them when she was in the hospital 5 years ago following surgery for a ruptured appendix. She almost died because she didn’t show any typical symptoms of appendicitis. Her appendix had already burst before we we took her to the hospital. So every time I look at those pilgrim magnets, I am so grateful that God was watching over her and we got her to the hospital in time. We love to do different kinds of crafts (my girls are in preschool but don’t have homeworks). Annie´s last blog post ..Aloha Friday!!!!!!!!!!!!!!!! Parker is only 2, but honestly, I have loved making up crafts for him to do…granted most of the time I finish them, but still…it’s always fun! I use to get into the science fair projects. 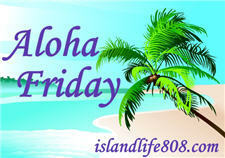 JamericanSpice´s last blog post ..Water Conservation – Aloha Friday and Food Fight Friday! N had an animal project. We had to demonstrate 8 facts and the show animal parts on a poster board. For the eight facts we did a lift flap quiz. He wrote the questions on a piece of paper with multiple choice and then when you lift the flap up the answer was underneath. The teacher said it was a hit! 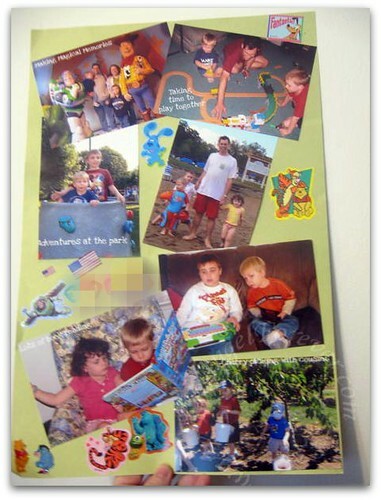 I love to buy scrapbooking kits when we work on project. I usually can get them under $10 at Walmart. They have the paper, stickers, letters and tons of extra stuff to decorate with. Time together doing the project is always priceless. I made a kleenex box cover in 4th grade that I still use. It’s my fave! My all-time favorite project was my daughter’s 5th Grade State Report. She was assigned Mississippi, so during Spring Break, we went on a road trip to explore the state. Afterwards, she created an absolutely stunning 3-fold poster that was basically a homage to Elvis Presley. The entire family had a blast being a part of this assignment!